The series approaches author book promotion as a start-up small business; after 27 years of growing companies, Mr. Fitch argues there is no difference between the two. In his three decades of entrepreneurship, Mr. Fitch has created and grown everything from an Inc. 500 healthcare patient-acquisition firm to his present position as chair of International Content Management, the parent company of both Accurance and Publish Wholesale. Accurance was the first firm worldwide to grow across-the-board, high volume prepress production services to publishers in the self-publishing industry, in fact, causing the creation and explosion in growth of what are some of the largest such firms in the world today. Today, Accurance serves dozens of publishers, big and small, and Publish Wholesale hundreds of authors. Getting down on the basics, he narrows the foundation of establishing and managing a small business into five major aspects—capitalization, delegation, expectations of returns, systems orientation, and fear—and how these fit into the concept of book promotion. Through each subject, he outlines not only how understanding these aspects play a significant role in the success of the book, but he backs up major points with real-world data and shows the author how to do the same. The first part of “Self-Publishing 101: The Art and Science of Book Promotion” series is now available on Publish Wholesale and accessible via sign up process. Jon Fitch is an accomplished entrepreneur who has run Inc. 500 businesses, consulting businesses, marketing businesses, publishing businesses, and more for nearly 30 years. He is the founder and CEO of Publish Wholesale, a self-publishing services firm for authors. 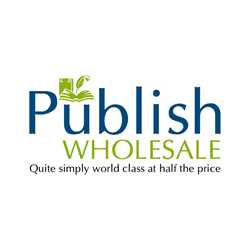 Publish Wholesale is a self-publishing firm that provides high quality and low cost publishing and promotion services to independent authors. For more information about the company and its services, visit http://www.publishwholesale.com.